Now that Indigo’s a little older I love making kid’s crafts with him! He likes to help out with the whole DIY process which is really cute. 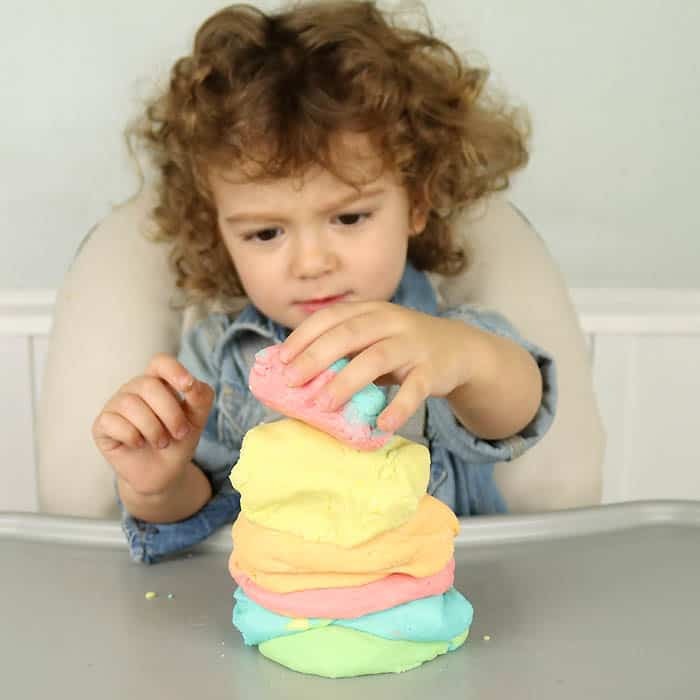 For our latest project we made this Play Dough DIY. 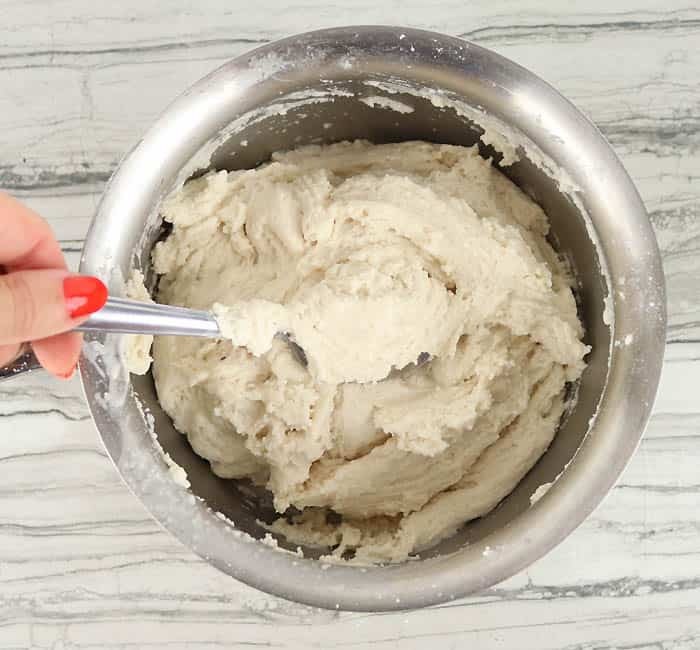 This Play Dough is easy to make and it can last for months (wrapped in the refrigerator). The magic ingredient in this recipe is cream of tartar. 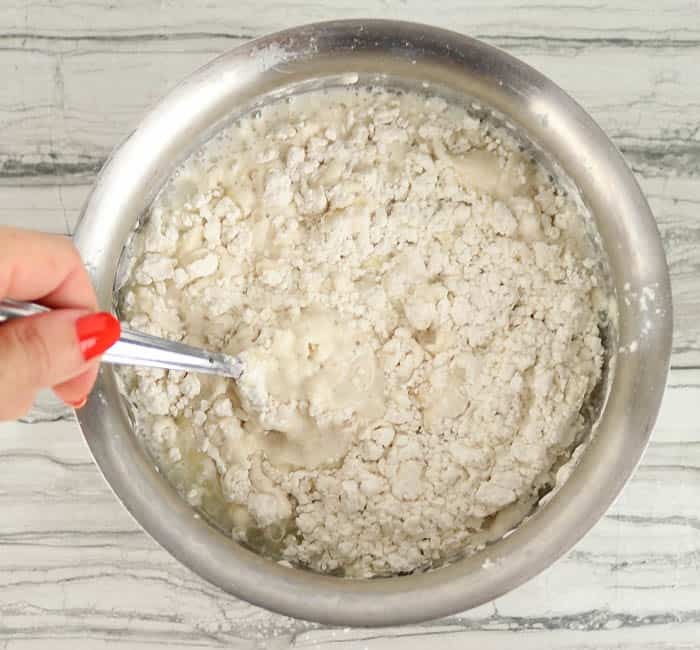 Cream of tartar is a stabilizer in recipes that require whipped egg whites (meringue, angel food cake, etc). 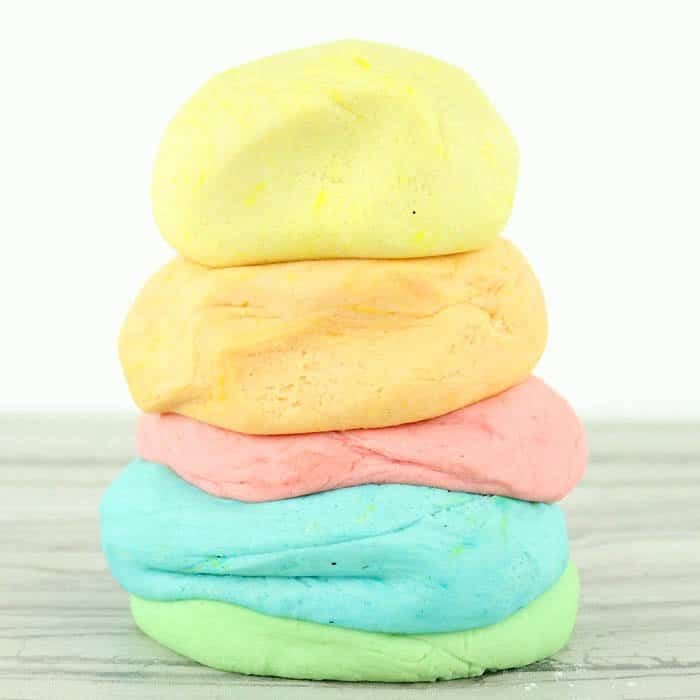 Basically, it makes the Play Dough swell up. 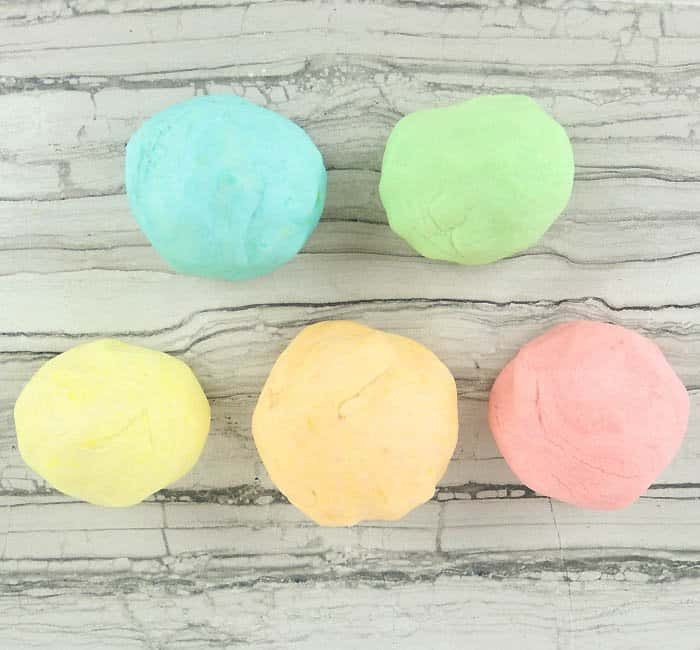 This Play Dough DIY is inexpensive to make so you can whip up a batch whenever you want! 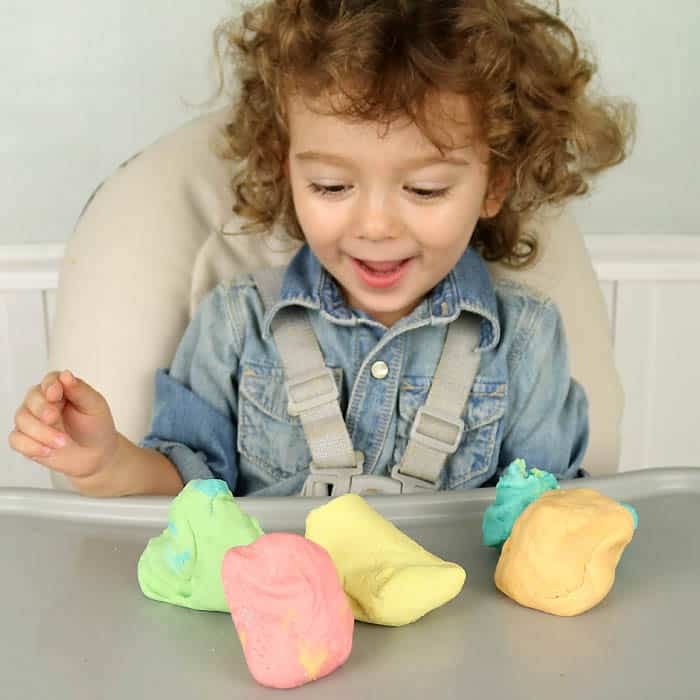 Want more DIYs for kids? Cook over low/medium heat for 2 minutes. Make sure you keep stirring to prevent the bottom from getting burned. 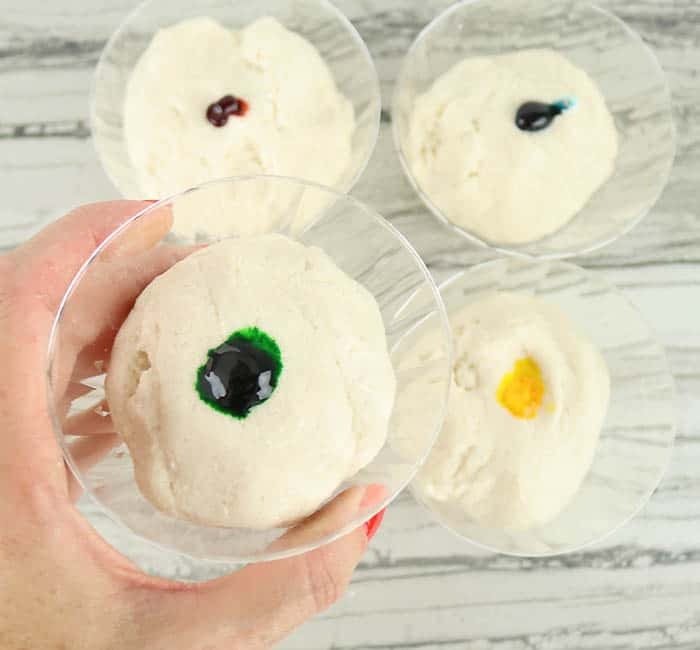 Add a drop or 2 of food coloring (a little goes a long way) and knead together. 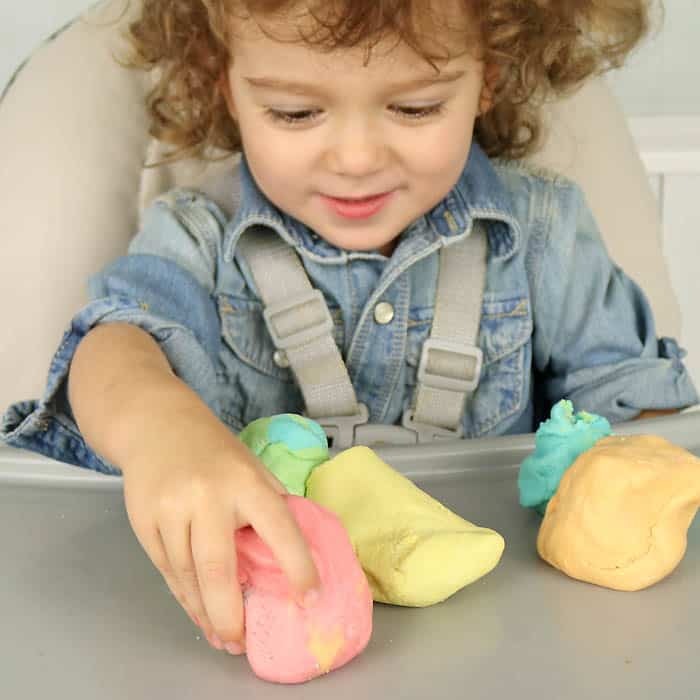 Once playtime is over, put the Play Dough in Ziploc bags and store in the refrigerator. 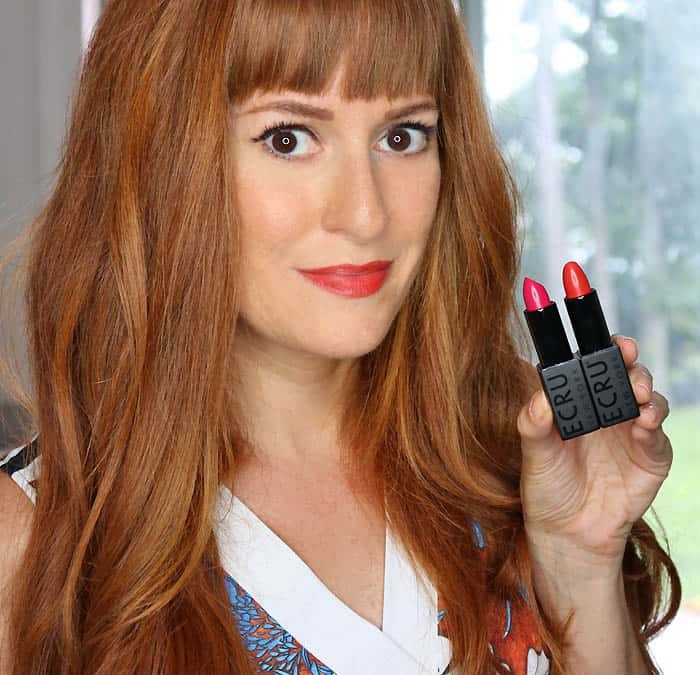 It will stay soft for months!